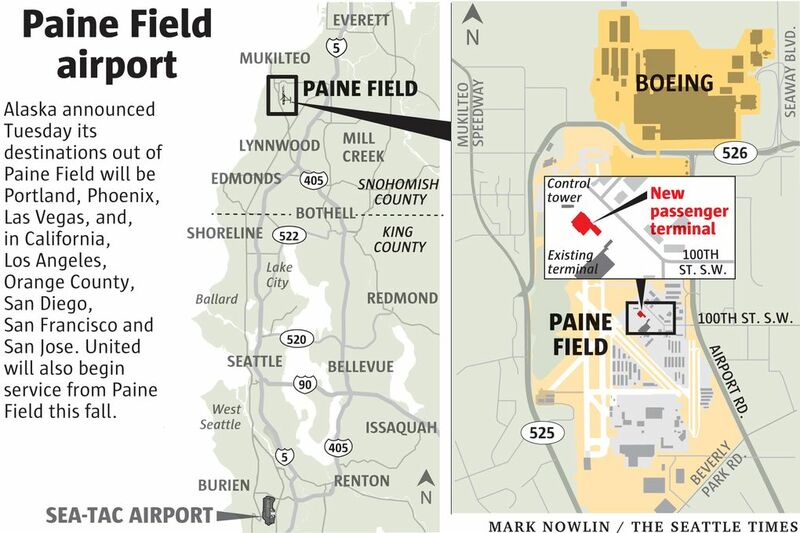 The airline will ultimately offer 13 departures every day from Everett's Paine Field, to be known in airport parlance as PAE. 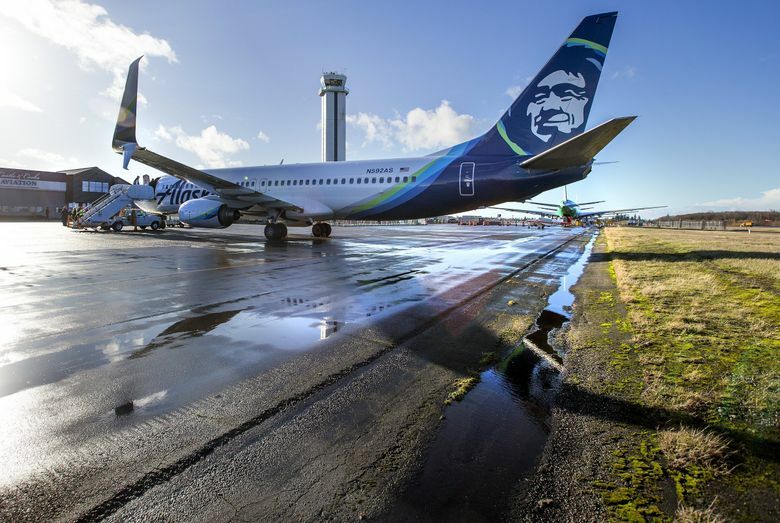 Alaska Airlines announced Tuesday that it will begin this fall offering nonstop flight service from Paine Field airport in Everett to more than a half-dozen destinations. The Seattle-based airline will ultimately offer 13 departures to eight cities every day starting this fall. The all-jet service will connect Paine Field to airports in Las Vegas, Phoenix and Portland as well as California airports in Los Angeles, Orange County, San Diego, San Francisco and San Jose. Flight frequencies for each destination, along with departure and arrival times, will be announced later this year, subject to government approval. 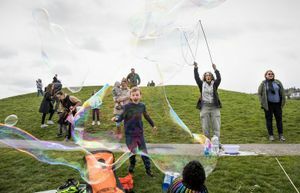 It’s part of Alaska Airlines’ efforts to become the “go-to airline for anyone living on the West Coast,” according to a news statement released Tuesday. The plan is for Alaska’s regional subsidiary Horizon Air to do the flying from Paine Field using its new Embraer E175 jets. These aircraft seat 76 passengers with a single aisle dividing four seats abreast. Alaska said it will offer three classes of service: First Class, Premium Class and Main Cabin. Passengers will have Wi-Fi connectivity, free movies and TV shows, and free texting. An internal company note to employees Tuesday said Horizon will get the flights, provided the pilot shortage that plagued the airline in 2017 and caused hundreds of flight cancellations through the fall is successfully addressed by the plan to hire and train a substantial number of new pilots this year. Horizon employees enthusiastically responded to the news in comments responding to the internal memo. Alaska already flies nonstop from Seattle to 90 destinations, with the most West Coast nonstop destinations of any airline. United Airlines also plans to operate commercial passenger service from Paine Field starting this fall, with six daily flights to its hubs in Denver and San Francisco. 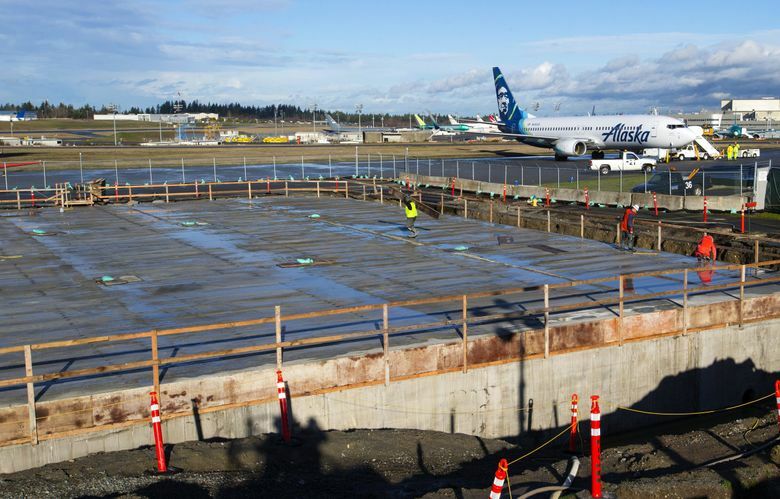 New York-based private equity firm Propeller Airports and Snohomish County are building the new passenger terminal at Paine Field. 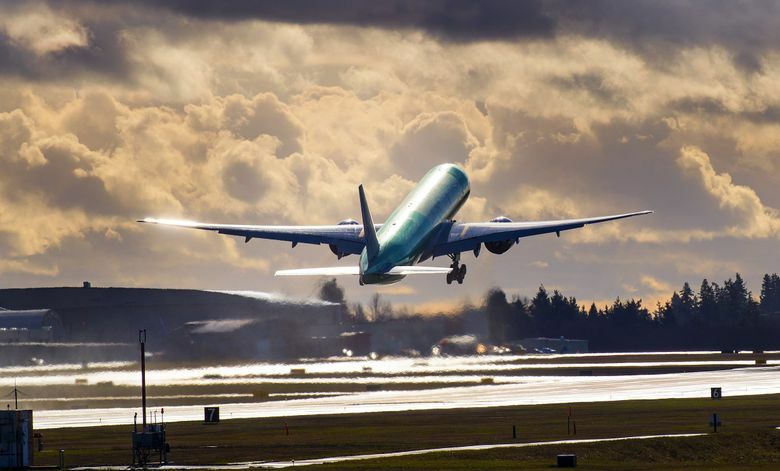 The Federal Aviation Administration (FAA) three-letter airport code that will be useful when booking flights from Paine Field is PAE.